Rab LED garage light has precision bronze colored die-cast aluminum housing and door frames with chip and fade-resistant polyester powder-coated finish for added durability. Housing includes ultra white semi-specular anodized aluminum for 97% reflective optics. 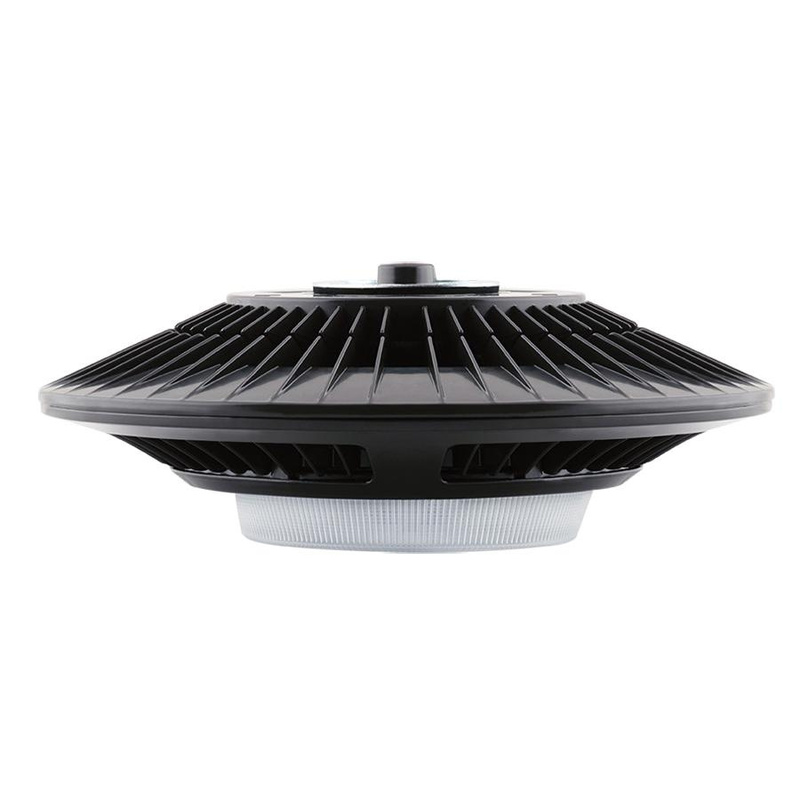 This luminaire has an integrated airflow fins for superior thermal management with heat sinking. Luminaire comes with easy hanging plate and hooks for ceiling mounting. Lock screw supports pendent mounting. This LED garage light luminaire has a prismatic polycarbonate lens for uniform light distribution. It has fixture power rating of 52-Watts and voltage rating of 120 - 277-Volt AC. This luminaire measuring 16-Inch x 5-1/2-Inch, provides 13-Watts of 68 CRI 4975-lumens of light with 5100K 84 LPW efficacy LED. This luminaire is best suitable for wet location and parking garages. Luminaire is UL listed, RoHS compliant and meets IESNA LM-79 & LM-80 standards.